Lesson 5 – Hoeveel kost dat? This lesson deals with shops, buying, selling, prices and money. There will be some attention for diminutives and for sentence structures in Dutch. You’re already familiar wit zegt u het maar – the most currently used phrase not only in restaurants and pubs, but – even more – in shops. Telling what you want to buy is just as easy as ordering: you say what you want and let it be followed by alstublieft (‘please’) or you first sayMag ik (means ‘Can I have’) plus the item you want. The rest of the conversation in a shop mostly contains just standard phrases like Anders nog iets? (‘anything else?’), Dat was het (‘that’s all’) and Hoeveel is het? (‘How much is it?’). Mag ik een kilo tomaten? Heeft u er een dubbeltje bij? Nee, sorry. Ik heb helemaal geen kleingeld. The phrase Mag het ietsje meer zijn? means ‘May it be a little bit more?’ (strange enough it’s never asked if it can be a bit less). In fact iets already means ‘a bit’ (also: ‘something’ like in anders nog iets which means ‘anything else’) – the -je suffix makes it even smaller. This -je suffix can also be -tje, -etje or -pje (often after an m) and is called ‘diminutive’, or in Dutch verkleining. It’s used quite a lot in Dutch, either to make things smaller or to make thing look more innocent. A ‘little book’, for example, is een boekje, a ‘small tabel’ is een tafeltje and a little flower een bloempje. Another example: a business like appointment is een afspraak, but a date is een afspraakje – so here the -je is used to make it look “more innocent” (even if it’s the big date you’ve been trying to get for years…). Diminutives may also occur in certain situations or expressions where they do not seem to have a function. In a shop, a kilo might become een kilootje, but it’s still the same 1000 gram; you might be addressed as meneertje or mevrouwtje while you might not be very small or innocent; a cup of coffee will mostly be een kopje koffie, no matter how big it is. In those cases the diminutives are just to be considered part of the expression or perhaps to express some kind of sympathy. The word dubbeltje, as used above (Heeft u er een dubbeltje bij? – ‘Do you have 10 cents with it?’) even doesn’t have a non-diminutive form. The euro sign is €. Between euro’s and cents, there’s a comma, not a dot: dots are used for thousands, comma’s for the seperation of decimals. The word briefje means literally ‘note’, so it can also refer to a memo. 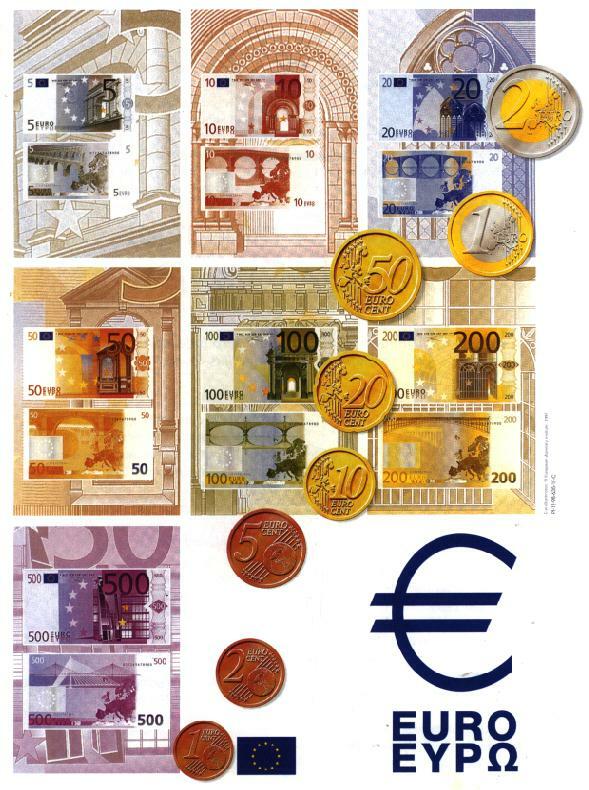 In spoken Dutch, euro and cent are used only as singulars, unless one speaks of coins. So ? 100,15 is honderd euro en vijftien cent. A Dutchman mostly leaves cent away, though: honderd euro vijftien. This is a basic sentence structure. It’s used in simple statements. For English speakers this structure is not that hard as long as it’s a question: in English you do the same thing, although the verb you start the quetion with is quite often ‘to do’. In Dutch you don’t: instead of ‘do you want coffee’, you simply ask ‘Want you coffee’. The inversion if something comes before the subject is much harder to get used to. It’s important though, to get it right when you’re still at the first level, because later on, it just gets harder. Quite often, the thing that comes before the subject is a statement of time (like ‘s morgens in the above sentence) or place. Another thing in Dutch sentence structure that’s hard to get used to: if there’s two verbs, the second one is usually placed at the end. You might already have noticed this in Mag het ietsje meer zijn? : the first verb, Mag (‘May/Can’), is at the beginning (inverted structure) and the second one, zijn (‘be’), is at the end. Wilt u misschien iets drinken? Want you perhaps something to drink? With the help of the above mentioned lists and the phrases you learned in this lesson, you could make yourself a list of things you would like to buy and imagine the conversation that would take place in the shops (of course, you shouldn’t go to the supermarket …).